Our customer, a tire manufacturer, wanted to ensure their dealers weren’t losing business to some new Internet stores, so they decided to create their own web-based solution. The site allowed their end-user customers to purchase their brand of tires online, and have them shipped to the nearest authorized dealer for installation. The general manager was looking for a way to promote the rollout of the new website to their dealers and educate them about the benefits of this new program. We developed a targeted direct mail solution coupled with database management services and the use of a promotional product. Our customer gave us a target list of names that we converted into a spreadsheet for variable printing. 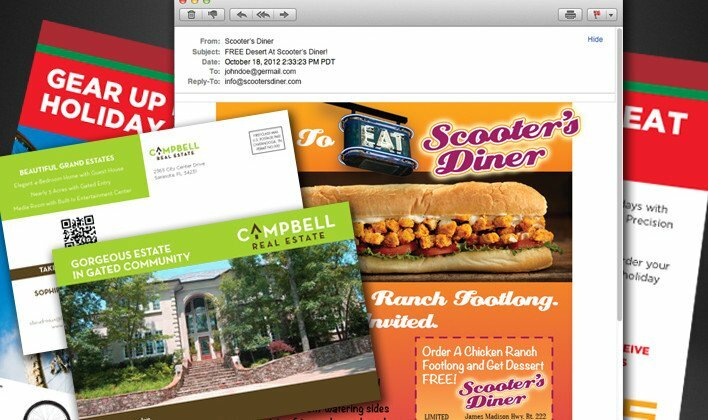 Then, a direct mail postcard was designed to match the “look and feel” of the company’s new website. The postcard was mailed to the company’s key customers to announce the new website and to invite them to an informational meeting to educate them about the benefits of the new site for their businesses. After the presentation meeting, all attendees were given a mouse pad promotional product, which we designed and provided, to also help facilitate the new branding. The 400 postcard invitations that were mailed for our customer resulted in attendance at the event that was much better than they expected. All of the communication pieces we developed made the product rollout to their dealers a successful event.